Simon & Schuster Books for Young Readers, 9781481430487, 336pp. * "Han's story is timeless. First love, finding one's identity in school and at home, and navigating the delicate transition from child to adult are all universal themes in young adult literature, and Han does a great job exploring them. She has written a sweet, coming-of-age love story that will surely please fans of the first two books who are likely clamoring for this conclusion." 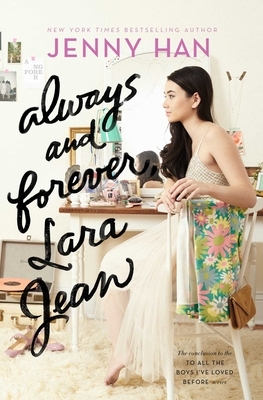 "Featuring the same endearing sister relationships, mouthwatering descriptions of Lara Jean’s cooking, and timeless coming-of-age conflicts, this final volume in the series will continue to delight Han’s fans.... Sparkling dialogue, swoon-worthy scenes, and likable characters make this a gem of a selection for most YA collections"